Exquisitely decorated, like new ocean side condo is conveniently located just over the Rt 90 Bridge on 60th St. Setting the stage for this stunning condo is a foyer with Tray ceilings, crown molding and tile floors. 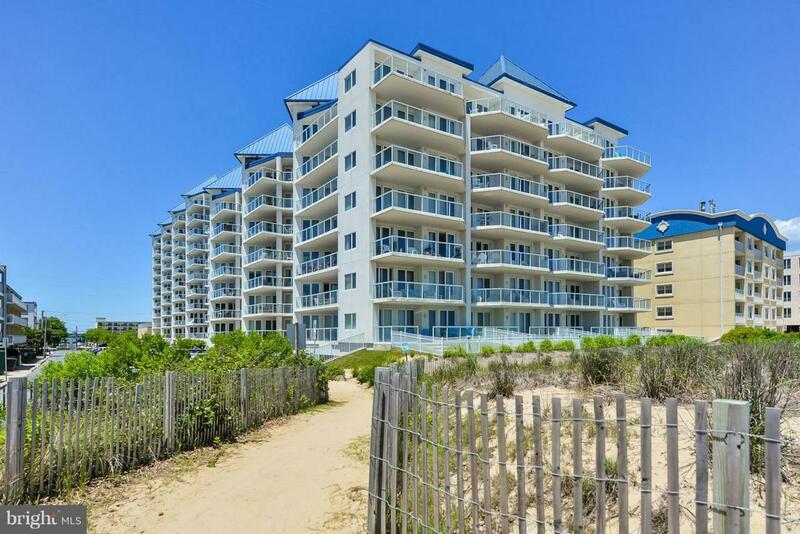 Plenty of room to live and enjoy Ocean City with a large great room w/ access to expansive balcony, ocean and bay views, gourmet kitchen with stainless steel appliances, granite counter-tops, & breakfast bar. Also included is three bedrooms, 3 bathrooms, large master bedroom with access to balcony, and private master bath w/ custom painting, double sink vanity, soaking tub, and large shower. Easy access as unit is right across from the elevator, also has large storage closet to store all your beach chairs/toys. The Meridian has a fitness center, heated pool with large sun deck and social room. All this and more located on 60th St. Exclusion list includes two cabinets and artwork.